Home > Team > Judie! Judie has been with Crocodile since December of 2016. Judie is our bookkeeper. 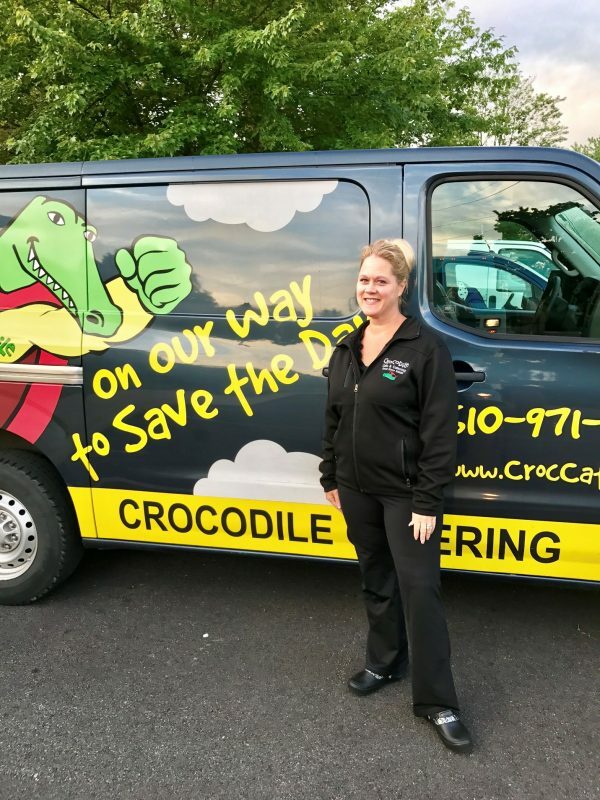 She found Crocodile on Craig’s List and applied because the most “amazing ad” ever! When she came in for her interview, Kurt hired her right on the spot! Judie has enjoyed her time at Crocodile so far. She says Crocodile is filled with the hardest working people she’s ever met, the food is delicious, and all of the employees are very friendly and welcoming. Outside of work, Judie enjoys working out. She loved a good walk in Valley Forge Park. In fact, she walks there almost every day. Judie volunteers for a non-profit organization. She also loves date night on Friday nights. Judie is extremely sociable and loves meeting new and interesting people all over the county and maintaining those friendships. Interesting fact: Judie changed her name to be spelled “Judie” because she wanted to be different!